Farming - are there opportunities? This was a nice topic and good to get views of so many . I am also the person that has been referred in many of the posts. An IT Guy… , I want to get into farming, begin with Dairy Farming and then driversify into others. I have some basic knowledge on agriculture (have a 3000 sq ft kitchen garden and I have grown vegatables and some fruits) and not much idea on dariy farming. I am planing to attend the dairy farming training from KVK, Baramathi (Hope I would meet some of you there). I got a feeling from all the post here that I am going in the right direction, and if I plan my resource properly and get expert suggestion at every step and not be greedy… Also need complete dedication and willing to work hard… I should be sucessful… as a farmer. I will keep my progress posted… my first step is to find a good farm land and get trained on dairy farming … any help or suggestion is always welcome. efarm chennai conducts agri-entrepreneurship training every month on the 1st weekend . it is meant for beginners and hence suoted for anyone looking for starting a farm, agri business , or a rural enterprise. Venkat (IIT alumnus) and Srivalli (MBA-ICFAI) are both from non-agri backgrounds and after 12+ yrs in corporate career started efarm 4 years ago to specifically look at supporting farmers in key areas of marketing, supply chain, distribution, and technology. Africulture including Farming is mother of all other jobs, all working under jobs may not known about Agriculture, but if once they come and know about Agriculture and realise the truth and importance of Agriculture, then Iam sure that they can peacefully dedicate their remaining life with Agriculture. I hope people will not compromise on their own Healthy food for better Health, Life satisfaction for serving the purpose for being born in this heavenly earth if one realised the truth. Mother earth never fails anything for any one if they follows the rules and regulations of the nature, please be note. I know, one time will come where advance booking has to do with Agriculturist who give pure agriculture produce for getting their healthy food. Now 90% Agriculture produce is contaminated in either way by using Chemicals and Fertilisers. We often hear the extremes about the viability of farming. On one hand we have traditional farmers being distressed, debt-ridden and trying to get out for any other possible avenue, on the other we have a number of entrepreneurs (including new generation IT folks) wishing to enter farming believing it is commercially viable and sustainable if it is done differently. This topic is an open discussion on what opportunities exist in farming (including the various related fields) and their economic viability. Any ball park revenue estimates are also welcome to be posted. What is your experience and what do you think? I have been reading various tempting and eye-catching posts by various farmers, consultants, experts, professionals, enthusiasts claiming lucrative PROFITS from various AGRICULTURE RELATED PROJECTS. I am from Yavatmal District in Vidarbha Region of Maharashtra State known for farmers suicides. I am in search of a REAL PROFITABLE project/crop/business/alternative which could be followed by the farmers from this region. I am repeatedly appealing and have published following appeal but unfortunately got no response till date. Yes some consultants approached asking for fees but I told them that I am ready to provide the infrastructure, you demonstrate your project and share profit. I am still open to the genuine profit sharing proposals ( even for demo project I will allow the demonstrator to take all the profit himself with a condition to accept my daily monitoring and he should share the data and activity details / record including daily income / expenses etc with me to to keep track and make it available to the interested free of cost). 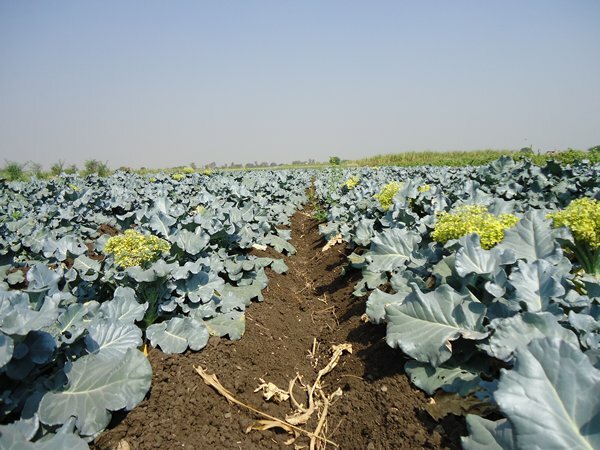 We have 125 Acres of Certified Organic Farmland at village Ghui 16 Kms north-west from Yavatmal a district headquarter in Vidarbha Region in Maharashtra State. 70 Acres Piece of this Farmland is located near Shingandoh Irrigation Tank, here 50 acres Clonal Eucalyptus is planted in August 2009 , Electric connection of 7.5+5=12.5 HP connected in December 2011, 3 farm-ponds are dug and water lifting permission from state irrigation department is available. Another 55 Acres plot adjoining Ghui Percolation Tank in Ghui Village here 40 acres Clonal Eucalyptus is planted in August 2009 still rain fed, 2 farm ponds and 2 bore-wells are dug, 3 electric connections of 5 HP= total 15 HP will be connected by October 2012. We have all the infrastructure i.e.58 HP H.M.T.5911 Model Tractor with all farm implements, tractor driven water lifting pump, Bullock Carts, Tailor’s, 5000 Sq.Ft.Plot with Water Well for building Residential, Storage and Processing Unit in Ghui Village. The land is suitable for Dairy / Poultry / Goshala ( Development of Indian Breeds of Cows and Bullocks) / Goat Farm / Imu Farm / Mango - Sweet Lime - Oranges - Lemon - Custard Apple - Berry - Tamarind - Jamun Orchards under Horticulture Development / Lakh (Resin) Production / Eucalyptus - Subabhul - Bamboo Plantation under Agro Forestry Development / Eucalyptus Citriodora - Chandan - Rakta Chandan - Aloevera Plantation under Essential Oil, Herbal and Medicinal Plants Development / Sugarcane Farming with Gud (Jaggary) Production Unit, or even to start a Agro-Eco Tourism Resort etc. The Cargo Hub with International Airport project is coming up at Butibori near Nagpur which is just 120 kms from Yavatmal. It has opened doors for immense business opportunities for enterprising youth in export field. Proposals are invited from all interested for Joint Venture / Profit Sharing / Partnership / Stake Holding / Contract Farming etc. Proposals from Persons who are self confident and willing to accept challenges and ready to invest their time (Working Partnership) for share profit / loss but unable to invest are also considered. This mail is with reference to the opportunity in Agriculture field. I am also one of the enthusiastic like you…Let me give a brief introduction abut myself. I am currecntly working as a IT engineer in one of the leading MNC in Bangalore from the past 4 years. I am basically from M.P and have around 20 acres of agriculture land. Prior 3 years back my father was handling the fields and growing all seasonal crops. Now due to the age factor and lack of man power, we have given the land on yearly basis to other farmer. I am looking for any business opportunity or idea which would be feasible for me to handle from Bangalore Later the business is settled , i can work full time and quit the job. As of now i have no plans as such, currently we have given land to our cousin and they are taking care of it with a very nominally amount. I am looking for some plan where we ourself can do something may be plantation whvih can give output in 2-3 years with less care…no matter whether that gives less output initially. We have all the equipments (tractor , tubewell and other agriculture machines). Please suggest and help each other to make the difference and provide opportunity for others as well. THERE ARE SOOO MANY PROJECTS ON FARMING UN ATTEMPTED. THERE ARE SOO MANY EMPLOYMENT OPPORTUNITIES IN THIS GREAT(DEFINITELY NOT POOR) SECTOR. THE RAIN GOD IS BLESSING .MAKE USE OF RAIN HARVESTING TO THE GREAT EXTENT. THE SUN GOD IS BLESSING IS READY TO SERVE YOU. MAKE USE OF SOLAAR ENERGY. THE GO-MAATHA IS BLESSING US WITH SOOO MANY PRODUCTS. INCLUDING ENERGY FOODS, FERTILISERS, AND COWDUNG WHICH IS CALLED IN CANERESE(KANNADA)LANGUAGE AS SAGANI WHICH MEANS SAMPATTHINA GANI IE A MINE OF PROSSPERITY, MAKE USE OF IT TO THE MAXIMUM EXTENT. THE ALMIGHTY UNIVERSAL CONSCIOUSNESS HAS PROVIDED US WITH THE GREAT B RAIN FOR GREAT UNLIMITED THINKINGPOWER. MAKE USE OF THAT. SERVE THE NATION AND SERVE THE WHOLE MANKIND. questions asked and answers provided. that does’nt mean that all those who seek information are ignorant and those who provide answers are experts. they share their knowledge and experience. to respond to your offer, a person should be from a nearby areas are from your state having knowledge of weather/climate and other agronomical situation of your area so that he can start working on the land. Farming as I understand now, is a demanding profession. First of all, there has to be investment and knowhow to produce a crop. But that is just a beginning. 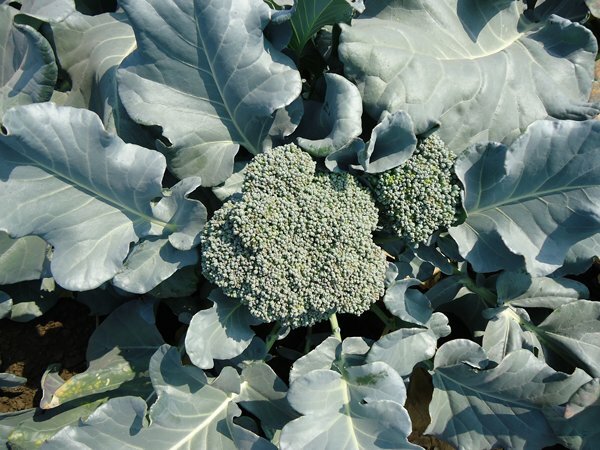 The farmer has to look after the plants, fertigate, irrigate and nurse his crop against pest and disease. During this process, mother nature may choose to be on his side or not, as there is question of rains, excess or lack of it, weather patterns, heat and cold waves, cyclones, drought and storm that can lay to ground a ready to harvest the crop. Once all these hurdles are overcome and the crop is ready for the market, one would think that this is the end of it. A pic. Is worth a thousand words. A few pics. 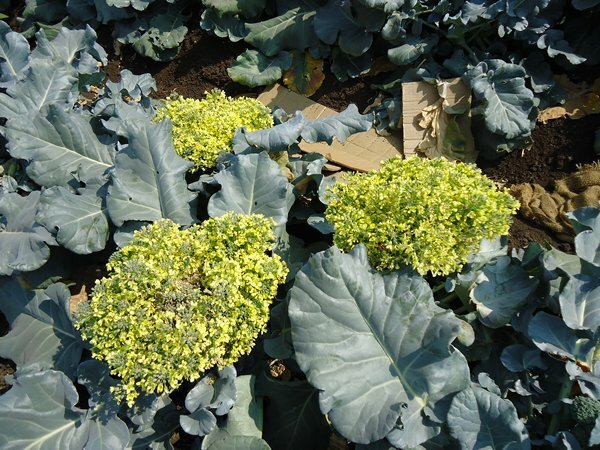 attached of the ready to harvest broccoli, and the other ripened to flower. an traditional farmers problems are related to financial institutes & its hap hazardous manner of giving away more loans (have seen it 1st hand). while professionals and other enthusiasts sees profitability because of their ability to take risks which increases 10 folds by knowledge acquired through easy sources (online) & providing solutions not satisfied by current system of agriculture like off season supply, intensive farming (mostly for supplying agro-industries), etc. We need is a self dependent sustainable methods for increasing interdependency within locals & bring about shift in our thinking paradigm towards nature, economy & people. What i’m saying is simply changing techniques can get you more profits but at what cost? Blindly following advanced methods without accessing its needfulness & its economic, environmental effects thereby. Green revolution in India was acclaimed & promoted without assessment of its adverse problems (soil sustainability, pesticide toxicity, less effective water management). similarly HYDROPONICS is in no way sustainable to nature especially in terms of maintaining soil conditions & biosphere. We are quite easily influenced by ideas from advanced countries; so we should also learn from their mistakes before making our own. No doubt sir Farming Can be made Profitable when suitably Planned for Marketing and reducing the Input Costs and reducing the cost of Labor.But we have to make vigorous efforts initially.No doubt one can earn a Minimum of Rs.1 Laks per Acre on creating Infrastructure.Now even the illeterate Farmers whome I know near Shankarpally,R.R.District are earning Rs.4-5 Lakhs per Acre per Annum on Vegitable Cultivation.At a time they are Producing TWO Crops.One crop on Pendal and other crop beneth the Pendal. I will Provide the Images shortly. Nice links, bchangela & charmneo. You touched upon what has been on my mind for a while and I had earlier seen something Govt. of India had already initiated on those lines, though I can’t find a link offhand. It is a great idea but it has to be seen how much information can be pooled without affecting copyrights etc. and at the same time not just reinventing what has already been published in various books. farming, just like any other activity or business will give good returns if done and planned properly. external factors will always be there, but the risk involved can be reduced. the returns may/may not come quickly or as planned, just like any other sector. it also depends on individuals/growers method and systems. but me, i sure do love farming. and find it the best profession in the world. return wise also. No doubt it is not possible to gain profits in absentee Farming. Software Professionals are entering into this Field for their Future Security. (For Getting Timber Value) . and is BOON to Absentee Farmers. very true… and nice option for an “absentee farmer” or for free open unused land/ little space / boundary. these trees dont need any maintenance nor are any trouble. so really a good investment for a long run. hi sir can you please some of the pics over ther so that we will get an idea on the same. I was thinking about Forest Trees cultivation (Teak, Melia Dubia etc) a while ago. It appears cutting and selling trees involves a lot of “official” work. Farmer has to take approvals from three different government department (Revenue, Forest, I forget the third one). I know of a person who has cultivated several acres of teak and running from pillar to post for past several years to get the approvals. He is so fed up that he is ready to put fire to his entire plantation and start over! I would think a hundred times before going for timber plantation. yeah, very true… there are a lot of formalities before you can actually cut the trees you plant in your own land with your own expenses. and not just timber, most of the trees need that procedure. i really dont think i can ever grow a tree from a plant, and then cut it off. would be very sad. but as you introduced us to the “absentee farmer”. so more suitable for them. Kinly go through the Attachments Provided in English,Hindi,Telugu containing the Collection of Information on the Cultivation of Melia Dubia Provided by the Agricultural Universities,Govt.Forest Departments,Social Service Organisations etc. This Farming is Boon to the Absentee Farmers. In this Plantation ONE can Harvest Inter cropping like Vegetables, Leafy Vegetables etc. in creating a Shadenet like without Investment . This Plantation is also maintenance FREE. This Plantation will Harvest Income Like Gold with in 6-7 Years and also Provide additional Income on Biomass. Some More attachments follows Please.